Welcome to The Promenade, Seaburn. Sunderland’s little gem of a pub, serving great coffee, tasty traditional pub food and Sunday roasts and offering a wide variety of drinks, ales & casks and a lovely selection of Gins. Come and join us for a drink and a bite to eat and enjoy the fabulous uninterrupted sea views. 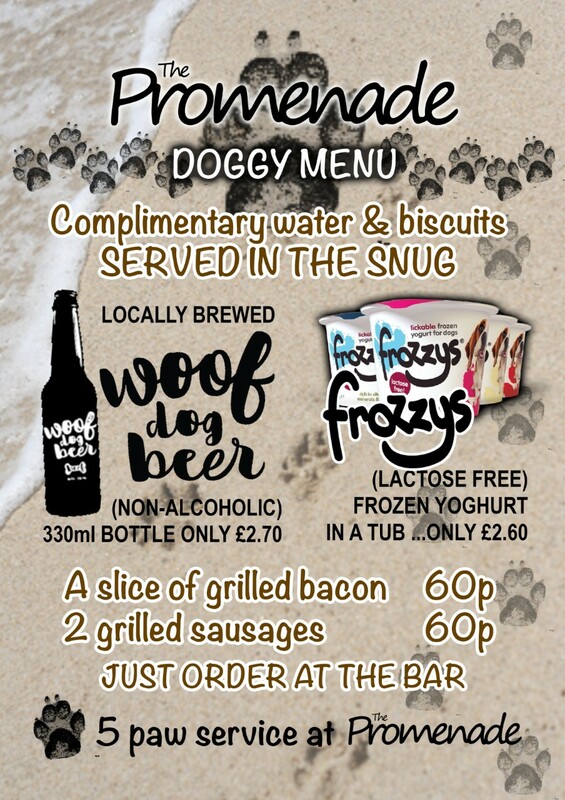 Dogs are welcome in the snug, check out the doggy menu. Food served until 9pm Monday to Saturday and until 7pm on Sundays. Catch all the live sports on Sky & BT Sports. With friendly staff and a warm welcome its the perfect place to bring the family and meet with friends. Great food, great atmosphere, great times!